to keeping a health ENDOCANNABINOID SYSTEM. As you know, I'm all about helping you better connect your beauty + biology. So to lay the ground work for this important article, I think it's critical we each know how we produce our OWN endocannabinoids. The ”cannabinoids” are the healing support agents from phytocannabinoids in CBD in the market. What to know: Cannabinoids do NOT just come from CBD. There's a critical piece for you and your underlying biology to make this mind + body + beauty saving compound. 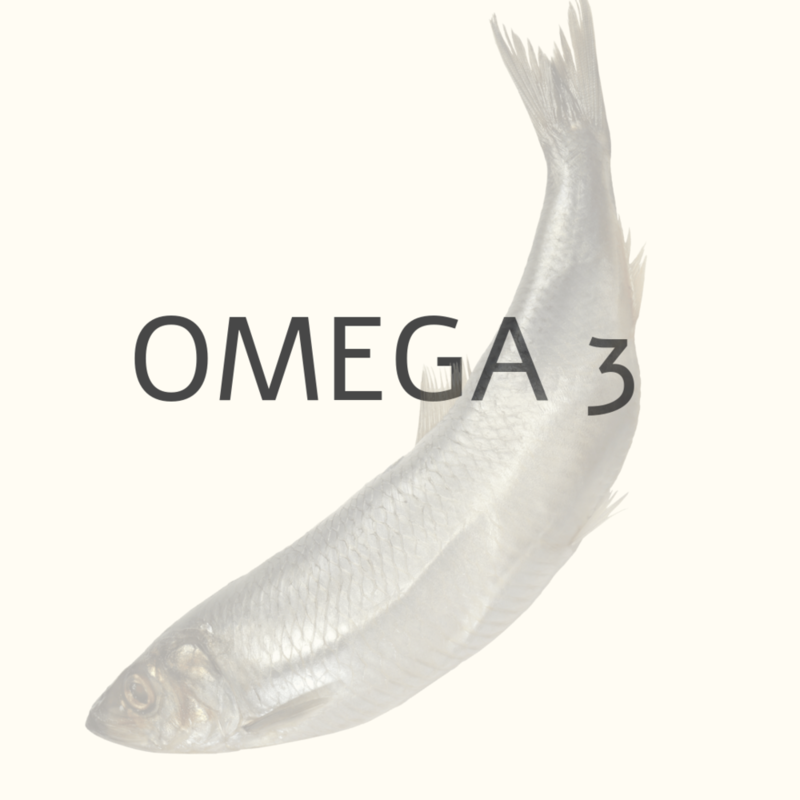 If you are suffering from Endocannabinoid Deficiency Syndrome, you may be able to improve your condition by increasing the amount of Omega-3 fatty acids in your diet. This will help to heal your CB1 receptors, facilitate the growth of more receptors and increase the amount of endogenous cannabinoids your body produces. It may also be helpful to supplement your body's endogenous cannabinoids with cannabinoids from external sources, such as CBD Cannabidiol. Taking a cannabidiol supplement will increase the concentration of cannabinoids in your body, thus leading to a more efficient and effective endocannabinoid system. Head over to Evoq Beauty and purchase our everyday Clean Calm and Connected CBD oil to give your ECS a boost. Pain? Anxiety? PMS? Consider getting on the roster. Pain, anxiety and PMS are common words we know as women. First off, I believe we need medical doctors in society for the obvious reasons. The thing is, based on reading research and between the lines, doctors tend to dismiss women's complaints about pain, and Big Pharma continues to treat PMS, anxiety and related conditions with ibuprofen, antidepressants and opioids — all of which can have unpleasant and even dangerous side-effects throughout your body. 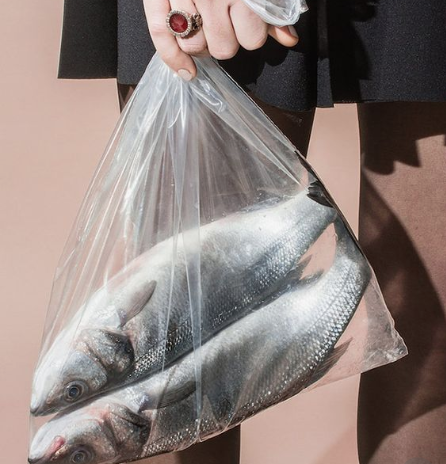 Women's discomforts have been ignored by the mainstream for too long. FOR WOMEN ONLY and BY WOMEN ONLY with Ellementa. If you’re curious about how low-grade chronic stressors break down our body, hormones, memory and mood…..” then this upcoming event’s for YOU! Please, pull a seat up to our round table with Nichi and Kassandra as we KICK OFF EVENT on MARCH 31st at Beauty Ecology. No fluff. No hype. No kidding. That's a lot of KNOWING. But I believe knowledge is power - especially when experienced together. And that knowledge we’ll share together will help you better navigate using phytocannabinoids for your health and wellness. Not interested? I get it. No hard feelings. We’ll be doing it monthly, so maybe next time around! But if you want to take this journey with us and get clear on alternative ways to heal, RSVP today and join us! Are you around toxic people? Or are you sometimes that toxic energy? LISTEN | One last thing before you go! Q: Speaking about community and relationships, how are you engaging? Have you heard of Lisa Nichols? She’s one powerful woman, and I deeply respect her clarity, strength and TRUTH. So in closing, I wanted to invite you to listen to Lisa’s message. This is my hope for all women. That we can show up in our lives, create community of powerful and positive ecosystems for all to BE themselves and THRIVE. I hope to BE this and create space for you. So after you grab your ticket to our March 31st gathering, jump into Lisa’s message below and be self empowered so we can turn and give it to others - in the most non-toxic way. How do you dose? The True Bioavailability Between Tinctures, Edibles and Topicals. 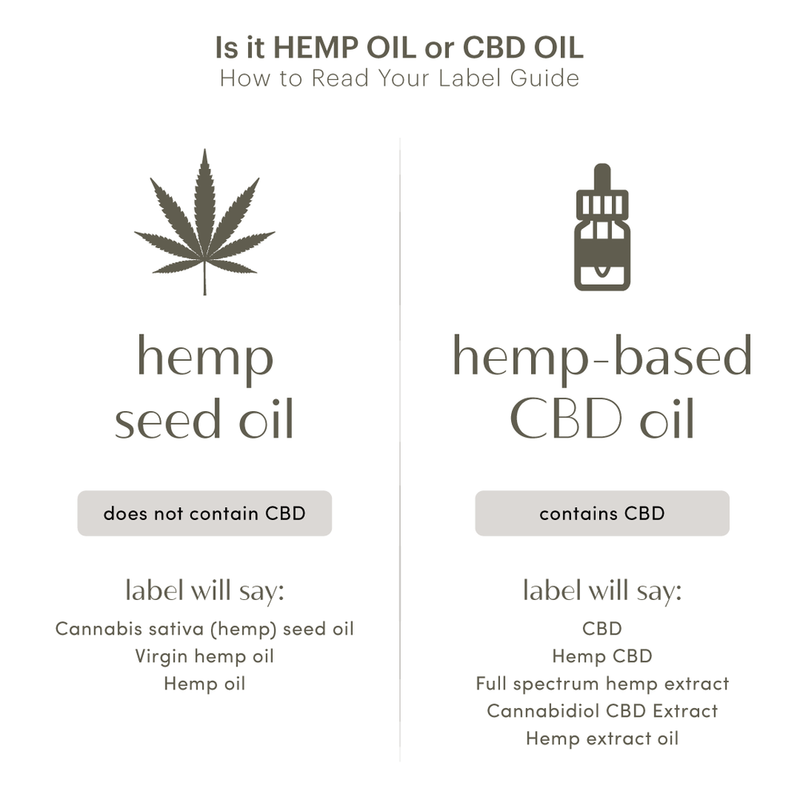 Believe me, I know when you’re taking the journey of understanding CBD and how it works - is confusing. If you don’t have neurology or biochemistry degrees, even understanding the basics like your endocannabinoid system, it’s vast network and CB1/CB2 receptors can make you dizzy. Here’s the truth. Cannabis and CBD is a chemical. In fact, everything in our universe is built of energy and chemicals - and these chemicals interact with your body’s own chemicals. THC binds most notably to receptors in your brain, altering perception, and CBD doesn’t bind to receptors but alters the communication by activating enzymes and receptors; notably CB2 receptors which are found all over the body regulating everything from mood, skin to menopause to fertility. 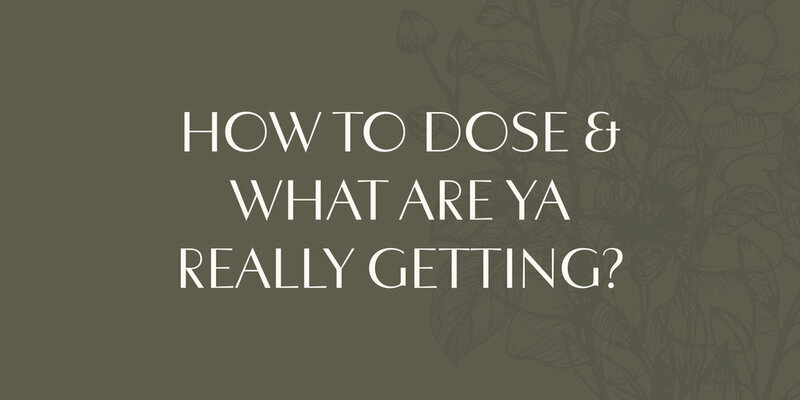 Dose refers to how much CBD, CBG, THC, CBN, etc. is in your product and bioavailability refers to how much of that dose actually gets into your body to be considered “active.” Today, we’re breaking down dosing and important definitions to understand. Bioavailability: when speaking of supplements (hemp falls into this category), bioavailability is the quantity or fraction of the ingested dose that’s absorbed into your body to be considered active. 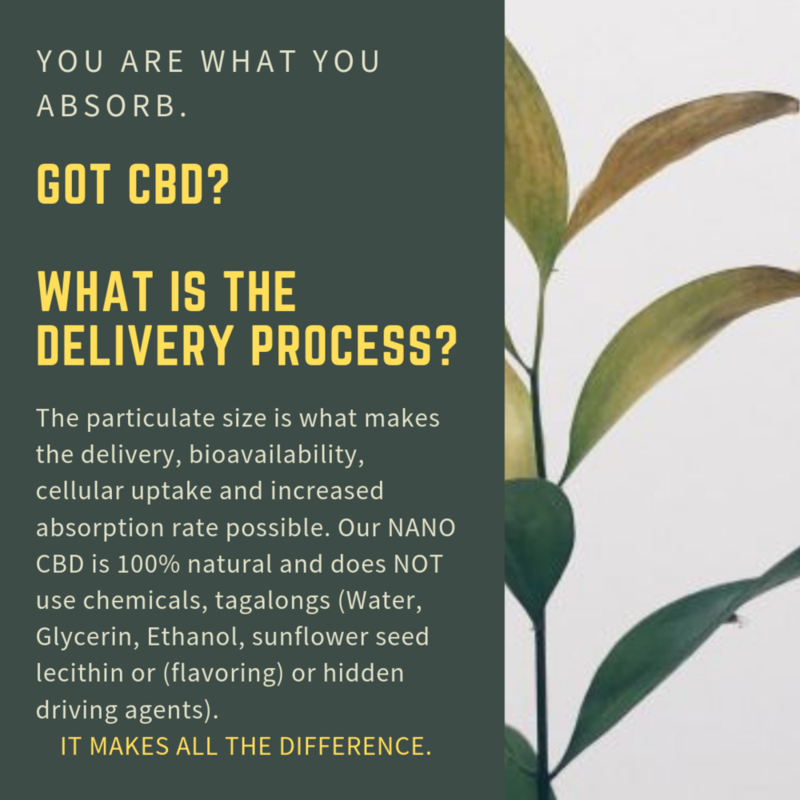 The application and how your ingest: topical, smoked, oral, edible, or pill are a few common ways to get CBD into your body. A note on nano: Evoq’s Clean Calm and Connected Collection of Nano products whether topically or internally, avoid harsh emulsifications, surfactants, and fillers for two reasons: Some science shows that emulsifications (reclump) in the body; and have harsh driving agents in them defeating the purpose. Based on the research - let’s look at bioavailability. While the studies we have don’t outline the rate of absorption (% of bioavailability), look for a product that has transdermal technology or transdermal ingredients to make sure it penetrates the skin. 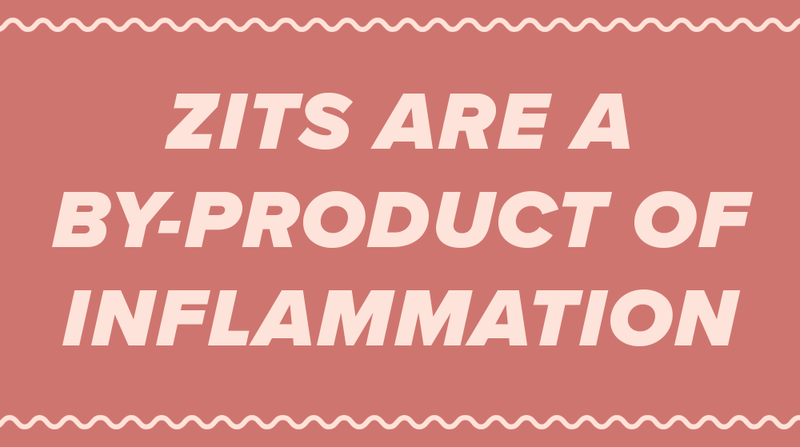 What we do know is that topicals don’t get digested (aka first pass metabolism) meaning it’s stronger and more localized relief. Vaping and smoking appear to have some of the highest bioavailability at between 34-56%. While smoking something like CBD may not have the localized effect you’ll want if you have joint pain, smoking is a good way to get CBD into your system. Humans are made of water. Most CBD tinctures are made of oil. 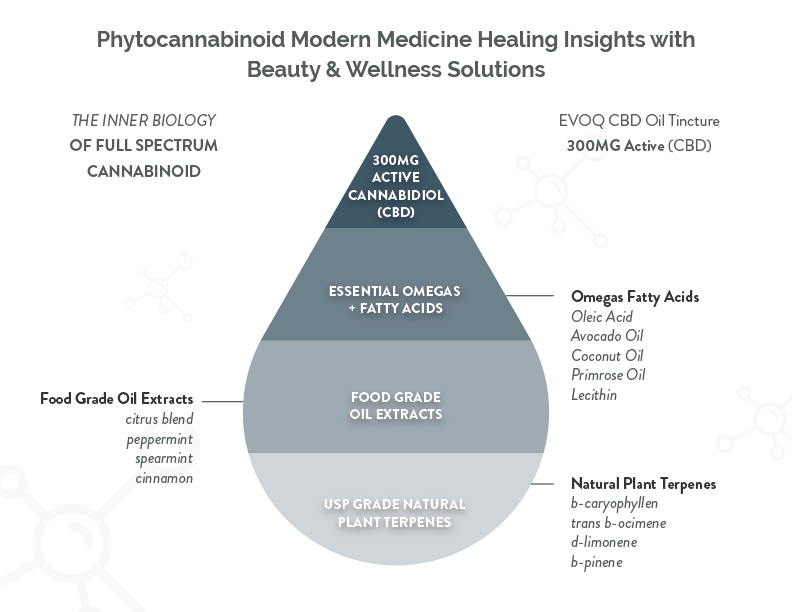 Your body is hydrophilic and CBD tinctures are the opposite (hydrophobic - oil and water - remember chemistry class). This doesn’t mean nothing will absorb; of all the “oral” methods, this is one of the better ways to absorb CBD. Another repeat here, but how is the product made, what surrounds it to help it drive further to the blood brain barrier for efficiency and absorbance. So, when the bottle says hold under your tongue for 30 seconds, you might want to overachieve and hold for 60 seconds. 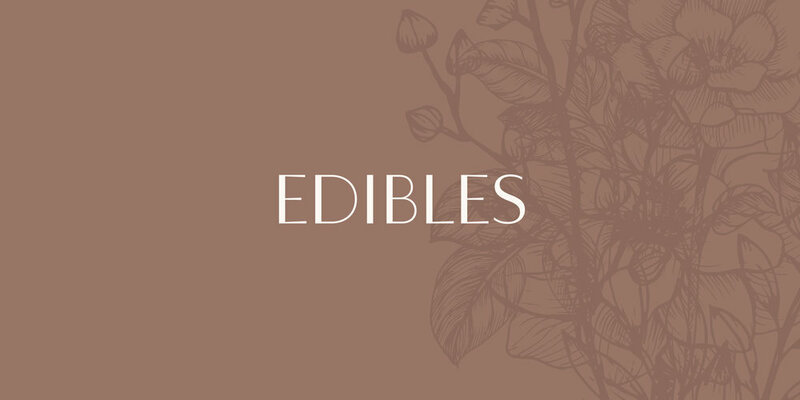 Who doesn’t like a good chocolate CBD edible? Unfortunately, the oral bioavailability of CBD in edibles is low due to something called “first pass metabolism.” If you want something that “hits,” you’re going to need to down a lot of edibles. With food products, you’re looking at anywhere from 6-20% bioavailability with pills being more towards the 6% end. Full spectrum means you maintain all ingredients found in the hemp flower. This means that full spectrum products have .3% or less THC because it doesn’t strip anything out. For potency consistency and reduction of “bell curves” (consistent results), some may choose to formulate with CBD extracted alone, which would be called isolate. Broad Spectrum is when only the THC is removed but all other ingredients and cannabinoids are maintained. The best way to think of full spectrum and isolate is an orange versus a vitamin C pill, with broad spectrum acting more like a full spectrum product. BAM! You’re now a PRO! Through my own experience coaching clients and broad data, it all comes back to testing and good to start at 20mg (and bill upwards to 100mg a day), and journal how you feel. CBD a pharmacological drug. It’s a plant. Use it daily with consistency and be honest about how you feel and if you have serious concerns about your health, please - please go see a doctor. Thanks for following along, Awakened Beauty!